1.Every day after getting off work is very decadent and nothing you are interested in. In the long run ,Will make you become more and more unhealthy. 2.You Take two hours or more to do a pretty manicure today but you have to wash your hair tonight. A variety of crystal diamonds will stuck your hair then you have to get it out for an hour. Now our MUSKY Scalp Massage Comb Brush can help you solve all of the above problems. 1. Silicone material, moderate hardness, not to hurt the hair and scalp. Strengthen the roots of hair, moisturize hair. 2. Promote scalp blood circulation, and promote the growth of hair. 3. Perfect for all types of hair from thick to thin, wet or dry, even including grooming of animals. 4. Help you relieve headache and daily working stress. 5. No Battery Needed. Without using electricity keep scalp safe and clean. 6. 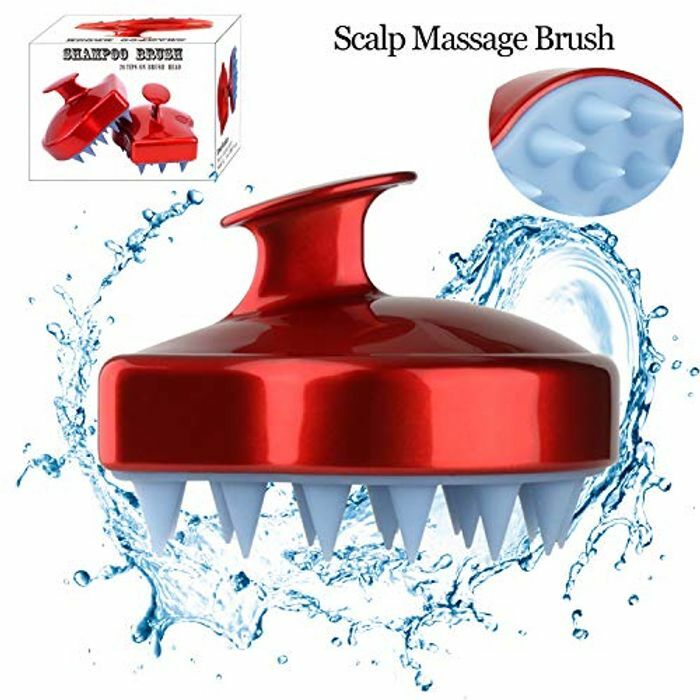 Excellent scalp massage brush especially for people with long or manicured nails who do not want to damage their fingernail in the shower.